What is A Detox & Why do you Need it? You get the picture. If you are living in a city, you are exposed to at least one of those. Life today is tough, we face a lot of different chemicals in our day to day lives when compared to 30 years ago, this is why we need to detox. Can you go and live on a farm in the middle of nowhere? I can’t, neither can you. In our fast and busy lives, we need tips, hacks and strategies to maximise the value to our body and from our body in a healthy way. After nearly a decade of research in the Alkaline Diet, I found something that can provide such benefits. A detox is a flush, a cleansing process that flushes out the toxins from your body. 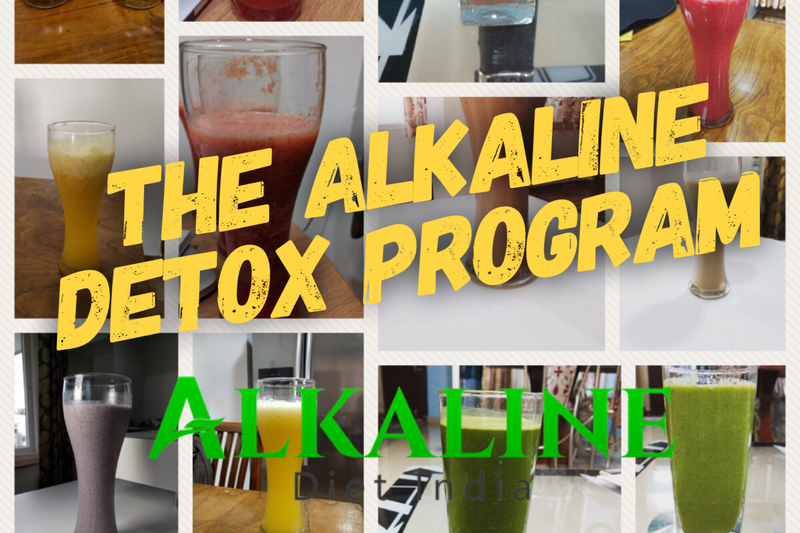 An alkaline detox is one that flushes out the toxins and gives you a fresh alkaline start for your body. It is like pressing a reset button on the body. What exactly does a detox do? In a detox, you undergo a series of different phases that allow the body to rest and recover, it does not mean you must sleep all the time, it has certain things you do to order restore your body to the fullest potential. Get rid of aches in the lower back, knees and joints. So how does one detox? It takes 21 days to transfer the skill of Detoxing to you through this program. Detoxing is easy to learn, once you have the skill, you can detox anywhere, any time. What Do You Gain From This Program? What Do you NOT Get in this Program? This is NOT one of those programs that promises “LOSE 10 KGS in 7 DAYS”, this will definitely change your life over a period of time, but not overnight. This program covers Real Problems and Real Solutions to those Problems. It does NOT waste time covering theory, if you want theory, there are enough textbooks out there.